(Kennesaw, GA) Want to shoot with Olympic medalist Kim Rhode? GunBroker.com, the world’s largest Internet auction site for firearms and accessories, is hosting a special champion-themed Charity Auction. New and existing GunBroker.com site users can currently bid on a one-of-kind experience that includes: a 3-day/2-night trip for two to Colorado Springs, a VIP tour of the Olympic Training Center and an afternoon of shooting with five-time Olympic medalist Kim Rhode. Donated by Winchester Ammunition, all proceeds from the charity prize package will benefit the USA Shooting Team. “USA Shooting is excited to partner with Winchester to provide an opportunity of a lifetime – the opportunity to spend a day shooting with Olympic legend Kim Rhode at the Olympic Training facilities in Colorado Springs,” notes Buddy DuVall, executive director of the USA Shooting Foundation. To track the auction and place a bid on this elite package, search for auction #301833800 or visit http://www.gunbroker.com/Auction/ViewItem.aspx?Item=301833800. The auction closes Sept. 2, 2012. GunBroker.com is proud to be the Official Internet Auction Site of USA Shooting and the USA Shooting Team Foundation. As a longtime sponsor of the USA Shooting Team, GunBroker.com is pleased to celebrate the team’s successes at this year’s London Olympics. USA Shooting is a 501c3 non-profit corporation chartered by the United States Olympic Committee as the National Governing Body for the sport of shooting. Partially funded by the U.S. Olympic Committee, USA Shooting relies on dues, donations, events, and corporate partnerships to promote the development of the U.S. Shooting Team. 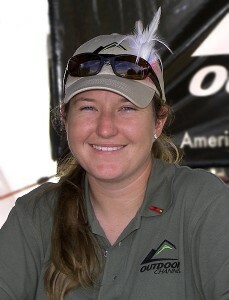 For more information, visit the USA Shooting website at www.usashooting.org. Nice share! I hope they’ll have another gun auction such as this soon. It would be great to shoot with Olympian medalist like Kim Rhode.